Hengyi · Who’s behind NZ’s tallest apartment tower? Who’s behind NZ’s tallest apartment tower? 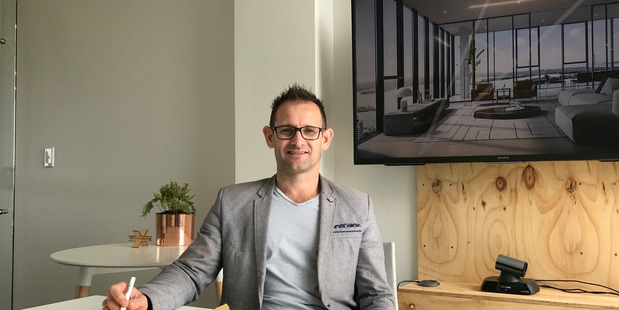 Jaimin Atkins, one of the lead architects on The Pacifica, a 57-level apartment tower planned for Auckland. Atkins is of Plus Architecture. The company planning New Zealand’s tallest apartment tower may be an unknown in this country, but across the Tasman it has become a specialist in giant residential projects. Hengyi Pacific is behind three big Melbourne residential high-rise developments, one set to soar to 72 levels. Headquartered on Melbourne’s Collins St, the business is now planning The Pacifica, a 57-level Auckland tower with 54 levels of apartments and a hotel, between Commerce St and Gore St near the city’s waterfront. 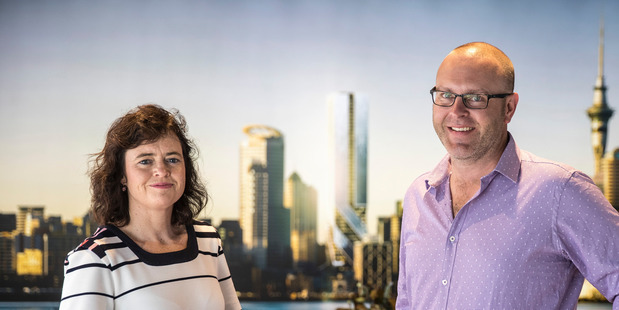 Dean Fossey, Hengyi Pacific’s property development director from Melbourne, and Liz Scott, New Zealand general manager, say resource consent for The Pacifica has been issued by the Auckland Council and a head construction contractor will soon be appointed. Completion is planned by 2020. Demolition on the site is complete, and Hengyi will open a display suite for The Pacifica at the end of this month at 152 Quay St.
Part of a floor in that building has been fitted out like one of the planned apartments, showing kitchen, bathroom and bedroom features. Scott says consultants working on the Auckland project include sole real estate agency CBRE, project managers AECOM, engineers BGT Structures, fire engineers Holmes, Wood & Grieve Engineers and Marshall Day Acoustics. Hengyi is an affiliate of mainland Chinese company Shandong HYI, whose business interests include property development, investment, energy resources, commercial operations, agricultural business and e-commerce.